I just wanted to showcase a couple of pieces that I have completed the last week. This is the first piece which is just a simple RAW bracelet. 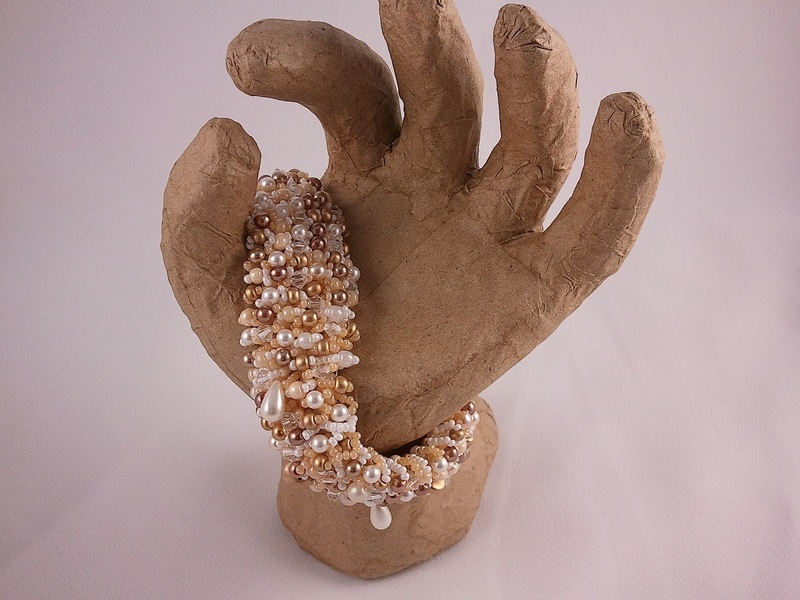 I love the simplicity of it and the bronze Swarovski pearls. RAW is one of the beadweaving stitches that I really struggle with. 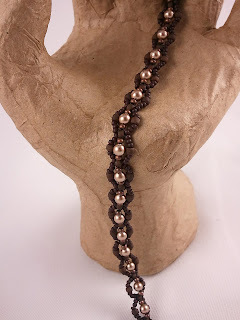 My original design on this piece was to have another row of the pattern with more pearls in the connecting pieces. But sadly I got really frustrated and after picking out the second row this is the result. Not exactly what I wanted but I am still pleased with it. Now for the piece that I am most excited about! Here is the piece laid out. The only thing I am not sold on is the toggle and clasp. It just does not seem to work with the piece. Luckily it is sewn in separate so that I can change it. I am thinking of taking it off and possibly attaching a piece of beige or gold silk on each end that you can tie or add a clasp to. I just need to find the silk and learn out to attach it to findings if I go that way. I really enjoyed making the caterpillar part of this and will probably make many more of them. Do you have any suggestions on what you would do to close/secure it? On another note I asked my sister in law if she would make me a pin cushion for my beading needles based after "Sprite" from Rainbow Brite. 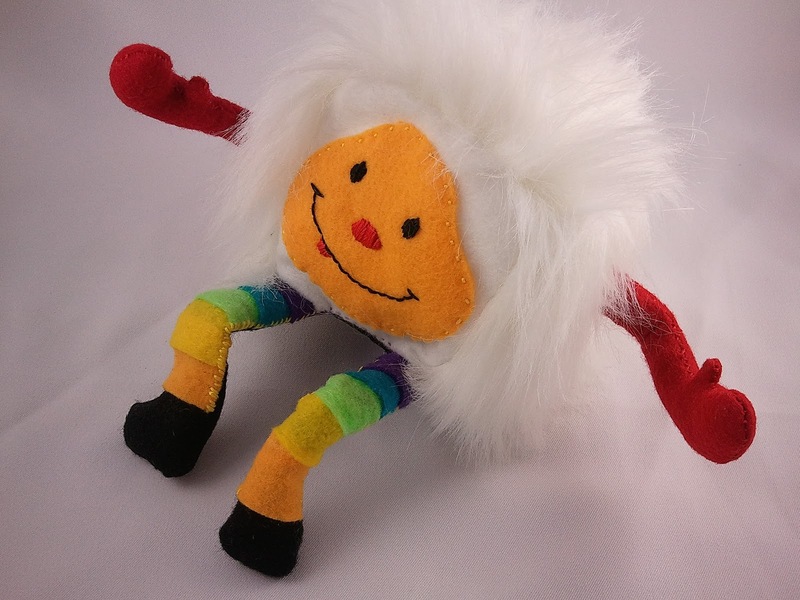 Maaike (pronounced Mica) has recently started crafting and she has been making felties. She is totally awesome at it and I loved it so much that I wanted to share it as well. And Thank You Reader For Allowing Me To Share! Marla, your bracelets are very pretty, I really like the second one and personnaly do not see anything wrond with the clasp. The pin cushion your sister made for you is very cute.